Sometimes I'd like a good cup of coffee, instead of my usual cup of green tea, without spending too much. When I have time in between events or meetings, I usually look for a good spot to work at that has free WiFi access (or strong signal for my mobile data). I try to skip coffee shops or cafes because I'd rather spend on a full meal. Sometimes I need to be mobile but do not want to worry about spilling my drink. On most days I'm working from home and instant (iced) coffee just doesn't cut it. I want my coffee brewed and milky, cold and convenient whenever I need to perk up! Thanks to UCC 'The Coffee Roaster', I never have to settle. They came up with ready-to-drink bottled cold brew called UCC Creamy Caffe Latte! It combines real coffee with the creamy taste of milk to bring an authentic coffee experience! Try the UCC Creamy Caffe Latte for FREE, from today up to March 12,2017. Drop by the pop-up store and dispensing machine at the Venice Grand Canal Mall, McKinley Hill, Taguig. There will also be human billboards who will give out samples when you take a selfie and upload to your Facebook or Instagram account. 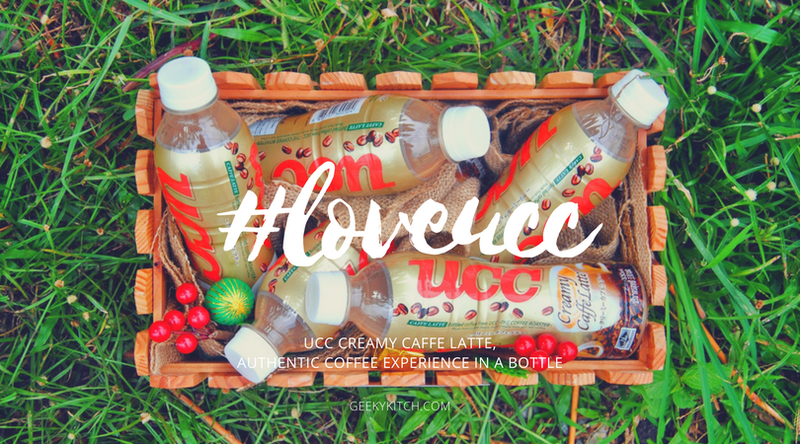 UCC Creamy Caffe Latte is also available at leading supermarkets near you!